Write your cleaning chores now and roll up your sleeves! Time to refresh your home and spirit! Happy Freebie Monday! 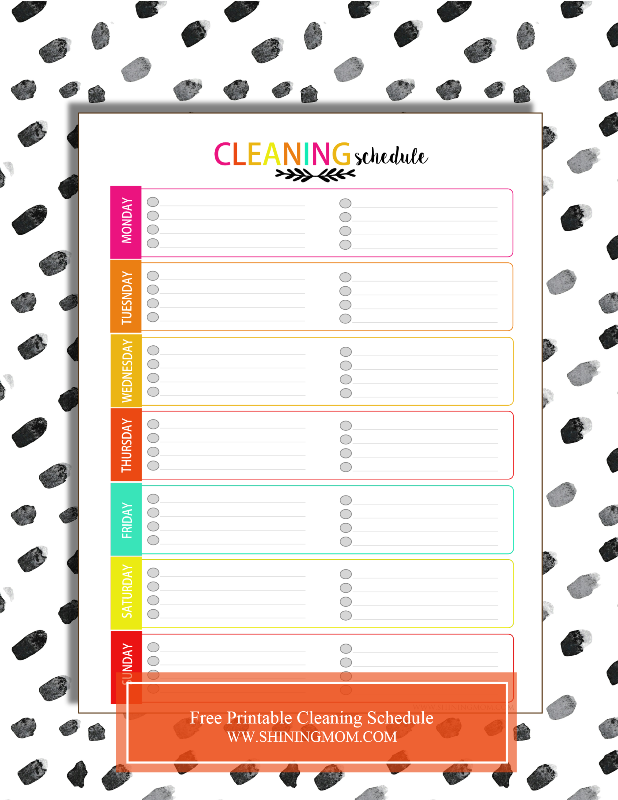 Time to write down your daily, weekly and monthly cleaning routines so you won’t waste your time contemplating where to start each time you’re scheduled to clean! Because I know a lot of you work better with checklists, you’ll be getting your pretty and colorful downloadable copies right now! Not sure if you remembered to clean everything? 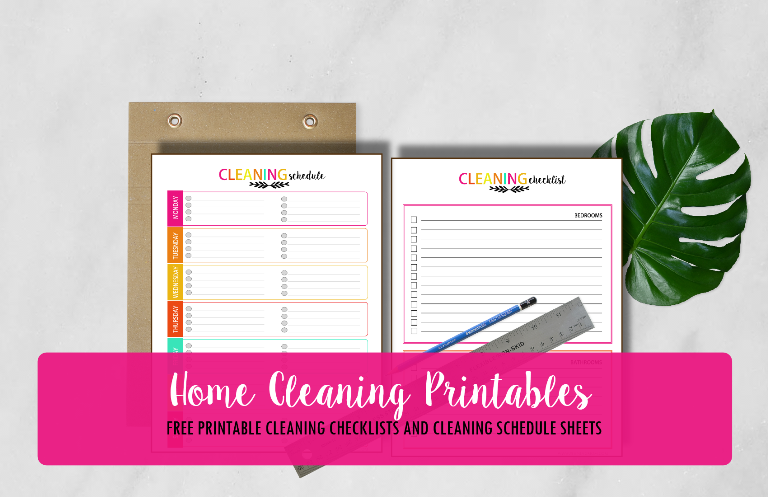 With these free printable checklists, you’ll know what you’re supposed to clean every cleaning schedule to keep your homes fresh all the time! You sure you’ve thought of everything? The first freebie you’ll be getting lets you write down what to clean in each room to avoid pockets of disorder; plus, it also lets you remember some essential home routines. Have you remembered to get rid of expired beauty products lately? How about restocking your first aid kit? You’ll get three lovely sheets for this particular checklist which will allow you to list the areas to clean, fix and update in your bedrooms, bathrooms, living room and kitchen. What should you clean each day? 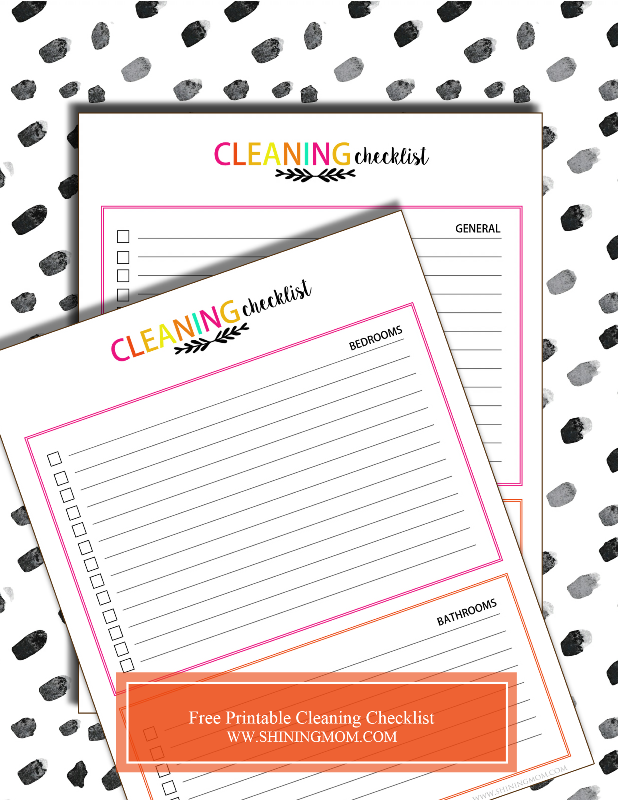 Because daily cleaning is the backbone of neat home regimen, I have also created a free printable daily cleaning checklist for you. I suggest that you laminate this sheet in a plastic cover and stick it on your fridge for everyone to see! You can cross items off with a dry-erase pen once the task is done and then wipe the page clean to for next use! You can assign your kids some chores, too! Do you think you can use these checklists? All of the printables are linked within the images so just click onto them and you’ll get your PDF copies. But should you like to get the full in one click, you can do so by getting your free printable cleaning checklist right here. Again, the pages are designed to be printed onto standard, letter-sized paper! And oh, special thanks to Bella Love Letters at Creative Market for the background design of each image preview! So, write your cleaning chores now and roll up your sleeves! Time to refresh your home and spirit! See you again next week, same day? I am thinking of releasing a new set of meal planning sheets! Would you love to get that, too? Have a happy week ahead! « YOUR GUIDE to Noteworthy 2016 Summer Workshops for Kids!